Unfortunately, in Scunthorpe and the rest of the UK, accidents are a fact of life, but sometimes they shouldn’t have occurred and only did so because of negligence. This could be a simple trip or parking accident with the car or a major accident at work or medical misdiagnosis. The effects of an accident that wasn’t your fault can leave you not only in a great deal of pain, distress and anxiety but can also lead to you suffering financially. If you have had to take time off work, pay for medical treatment, travel expenses or for the use of a carer, these are all examples of the types of financial loss you can suffer from an accident. The process of a normal personal injury claim is in fact on the surface quite straightforward. However, thanks to the complexity of UK law as well as the complex nature of many claims, it can complicate the process somewhat and lead to some cases dragging on for months and even years. However, thankfully most personal injury claims are quite straightforward and can be settled in a reasonable timeframe. Once you have instructed our Scunthorpe personal injury solicitors team, the first thing that will occur is the collection of evidence. It’s necessary to collect as much evidence as possible to assess your chances of succeeding with a claim and this may include witness testimonies, photographs, accident book records or expert testimonies from a doctor for example. Also, it is important to collect together the evidence of your expenses and loss of earnings. Did the person that caused the accident owe you a duty of care? Did the person who was the cause of the accident breach their duty of care by being negligent? Did this breach directly result in your injury? Is there a lack of a strong defence from the defendant? Was there any contributory negligence? Are you within the required time limits to make a claim? This is usually 3 years. Once these basic fundamentals have been established, then you should have the basis of a strong claim, especially if any expert witnesses also supports your claim. The letter of claim is the letter to the defendant that sets out your case and gives them a period of time to respond. Many defendants will admit liability and then there is no need to go to court and the matter can be settled by negotiation reasonably quickly. If the defendant does not respond within the required timeframe or does not admit liability then the case may proceed to court. Our Scunthorpe personal injury team are a team of experienced solicitors who will argue your claim and attempt to get you the maximum amount of damages. Claims for personal injury can be very technical and it can unfortunately be a length process. This is because of the complex nature of the claims and the law itself, especially as there is often much expert witness testimony to carefully consider and process. It can be difficult early on in a claim to assess exactly how much your claim is worth but once you have been assessed by a medical expert and we have details of your expenses and loss of earnings then we may be able to value your claim a little better. Personal injury claims in Scunthorpe (and the rest of the UK) may take some time to complete but they are worth it once you get the money that you are owed for your injury and the justice that you so richly deserve. Our Scunthorpe personal injury specialists have the experience and skills to deal with all types of personal injury cases involving cars and other road vehicles. From minor crashes and bumps to serious accidents and fatalities, we’re here to help whether you were a driver, passenger or a pedestrian or cyclist. As road traffic accident specialists, we are the perfect choice if you’re looking to get the maximum amount of compensation with the minimum of fuss, anxiety and distress on your part. Liaising closely with your insurers and other others, we’ll build your case to ensure that it is as strong as it can be to get you the compensation that you deserve. We’ll help you claim not just for the pain and suffering of your injury but for any loss of earnings too and other costs such as medical receipts and travel expenses. 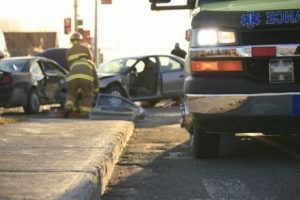 Even if you are unlucky enough to be hit and injured by an uninsured hit and run driver, we can guide you through the maze that can be the Motor Insurance Bureau Compensation procedure. Whether it is on the street or in another public place such as a Scunthorpe shop, pub or restaurant, slips trips and falls are common. However, they are not always the most easy personal injury claims in Scunthorpe to pursue. This is because of the number of different things that a potential claimant has to prove. Thankfully, our specialist personal injury claim solicitors are experts in such claims and will do everything in their power to make sure your claim is a success. Workplaces in Scunthorpe and the UK are safer than ever before thanks to legislation such as the Health and Safety at Work Act. However, that doesn’t mean that accidents don’t happen and there are thousands of work accidents in the UK every year. From slips and trips in offices to catastrophic and fatal accidents on construction sites and in factories, our expert Scunthorpe personal injury team will help to get the compensation that is deserved and entitled to. As well as this, we understand that when you have been injured at work you can suffer severe financial hardship which is why we can try to help secure interim payments to reimburse your lost earnings. These may also be used to access medical care that could help you get back on your feet quicker. Make your claim today and get in touch with our Scunthorpe personal injury solicitors team now on 0800 073 8804.